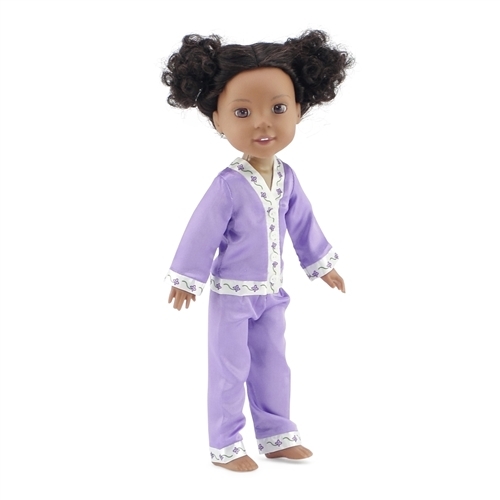 These lavender satin pajamas will help your doll sleep tight. They are trimmed with white satin and floral print, and a faux button front that actually velcros to make for easy dressing! 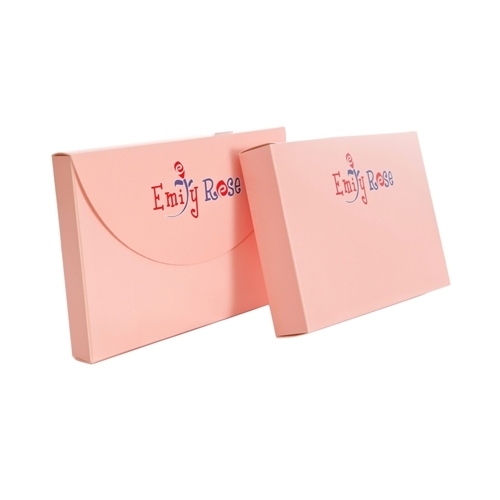 This lovely 2 piece doll PJ outfit comes packaged in our special pink Emily Rose gift box and is perfect for your 14 inch doll's next overnight party. Silky lavender pajamas trimmed with white satin and floral print. Silky lavender pajamas trimmed with white satin and floral print. 2 piece PJ outfit has elastic waistband pants for easy dressing!